Click on the photo to see the full size wide screen photo. This is the view from the way climbing up Low's Peak. 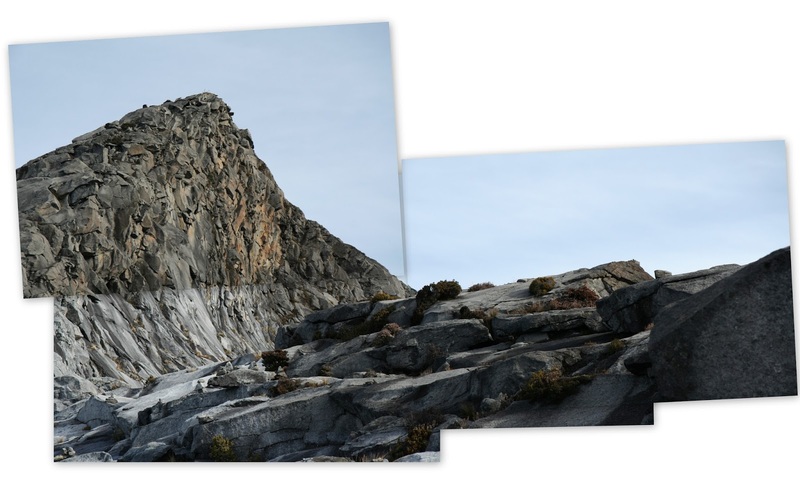 Mount Kinabalu: The majestic panoramic view of summit's plateau. South Peak. Tiny people walk on the plateau. Download this photograph of South Peak as wallpaper. Low's Peak. There are tiny climbers on the top of the peak. Download this photograph of Low's Peak as wallpaper. 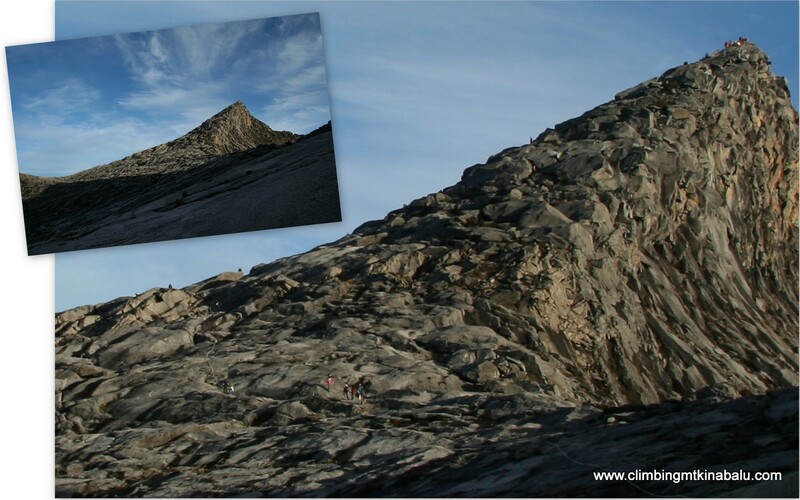 The experience of walking on the plateau of Mount Kinabalu's summit is unforgettable. The magnificent rocky landscape of the plateau was once covered by ice sheets and glaciers. The platform is huge. You can see from the photo. In the photo, humans walking on that rocky slope are tiny. We walked for approximately 1.7km on the plateau to reach Low's Peak. I was in awe of the grandiose of creation. At that time, I just wanted to gaze at the place, feel the atmosphere and was reluctant to snap a few more photograph properly. I can only regret now. 2. Summit climb, after the last checkpoint walking on the summit's plateau towards the highest peak. 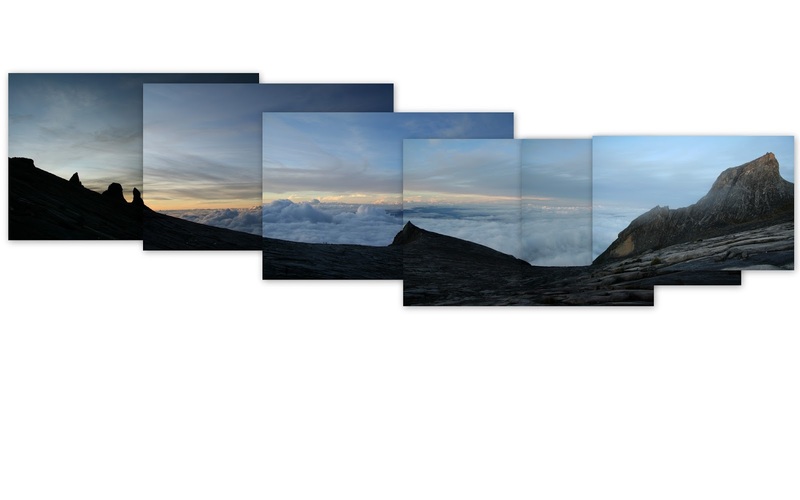 180 degree-wide landscape of the Summit of Mount Kinabalu. 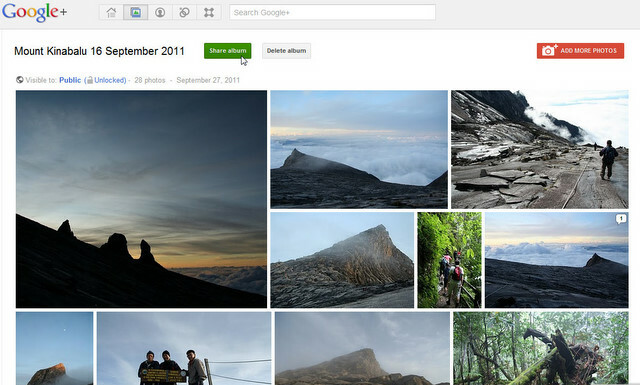 Photo Album at Google +: 15 - 16 Septermber 2011 Mount Kinabalu climb. Click the picture to see.